Since SEO is integral to online marketing, these 5 tips can help you get a jump start to big improvements. This should be crisp and clear on your home page and reinforced throughout the inner pages of your website. 2. Segmentation – Know your market and what drives them. Search begins with a need and each of these needs can be grouped into categories and matched with an offer. Understand where your customer hangs out online. Are they active socially on Facebook or do they read Blogs? What is their emotional connection to your service or product? You need to match this emotional need to the benefit your product provides. 3. Phase Approach – Roll out plans in manageable phases so improvements and failures can be tracked. If you do it all at once, it’s hard to understand what worked and what didn’t. 4. Goals and Tracking – Good SEO starts by building your keyword rankings and traffic but great SEO is a continuing effort to build customer loyalty and conversions through goals and tracking. Go get a Google Analytics account for your website right now if you don’t already have one. 5. Patience – Building a business takes time and effort. You can’t expect to put up a website and even once you drive traffic and get some keyword rankings, expect the profits to roll in. You should be constantly looking for ways to improve your site usability, traffic quality, customer loyalty and engagement and match your online presence to all of your off-line campaigns. 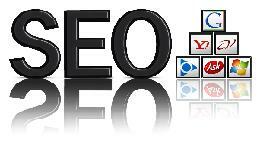 Online marketing and SEO is a cycle that never ends as long as you have a business! Contact us today to get your free digital marketing evaluation to see where you can begin improving your SEO strategy. Filed under: Business Strategy, SEO, Website Development.